Why do we need new art? How free is the artist in making? And why is the artist, and particularly the poet, a figure of freedom in Western culture? The MacArthur Award-winning poet and critic Susan Stewart ponders these questions in "The Poet's Freedom". Through a series of evocative essays, she not only argues that freedom is necessary to making and is itself something made, but also shows how artists give rules to their practices and model a self-determination that might serve in other spheres of work. 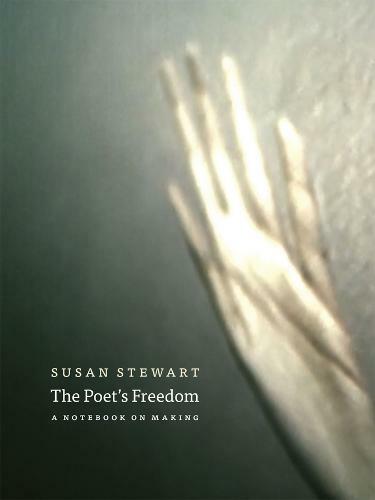 Stewart traces the ideas of freedom and making through insightful readings of an array of Western philosophers and poets - Plato, Homer, Marx, Heidegger, Arendt, Dante, and Coleridge are among her key sources. She begins by considering the theme of making in the "Hebrew Scriptures", examining their account of a god who creates the world and leaves humans free to rearrange and re-form the materials of nature. She goes on to follow the force of moods, sounds, rhythms, images, metrical rules, rhetorical traditions, the traps of the passions, and the nature of language in the cycle of making and remaking. Throughout the book she weaves the insight that the freedom to reverse any act of artistic making is as essential as the freedom to create. A book about the pleasures of making and thinking as means of life, "The Poet's Freedom" explores and celebrates the freedom of artists who, working under finite conditions, make considered choices and shape surprising consequences. This engaging and beautifully written notebook on making will attract anyone interested in the creation of art and literature.